When using energy information to help manage and save on building operating costs, we continually hit a wall because of big data management problems. Integration issues are everywhere, due to data silos in the energy market and within organizations. Nothing easily connects to each other. This is due to 100 years+ of data independence but things are changing. Lately innovation and greening of the energy industry is changing the way we look at information sharing. The “on-the-go” world of mobility is making us rethink how the energy industry has to adapt to rapid change, save costs and compete as the technologies around us are making significant advances every 4 to 6 months. Let’s be clear, innovative thinking is stuck in the 1900s when it comes to energy information. Without a new way of thinking, data silos will create massive delays in simplifying and integrating energy into everyday life. The reality is if energy information is going to integrate with the IoTs, be part of decision making and the internet itself, we need to think past how it’s being done now and look to how we need the future to be. This is where machine learning comes in. Screaming Power has been working on opportunities to use machine learning to manage non-standardized and siloed information for over 3 years and we are putting our research and expertise to use to help energy utilities and property owners. Screaming Power provides computers access to certain data sets and algorithms to build tools to let the machines learn for themselves, so people can more easily make sense of and connect to information anywhere. There is a huge amount of data related to the energy consumption and it comes from many different sources which make handling it complex. These sources are generated online and offline at different intervals and units. This information is useful to model, predict and forecast using linear and nonlinear variables, but the key is that you require a lot of information to make your results accurate. Data mining and machine learning provides an excellent opportunity to bring big data techniques into energy science and business to assist in recognizing and simplifying information to make it manageable and reusable. Machine learning is an application that uses Artificial Intelligence (AI) to automatically learn and improve from the data experience. Screaming Power has been using machine learning to help resolve information and data issues when collecting data for energy and GHG management. 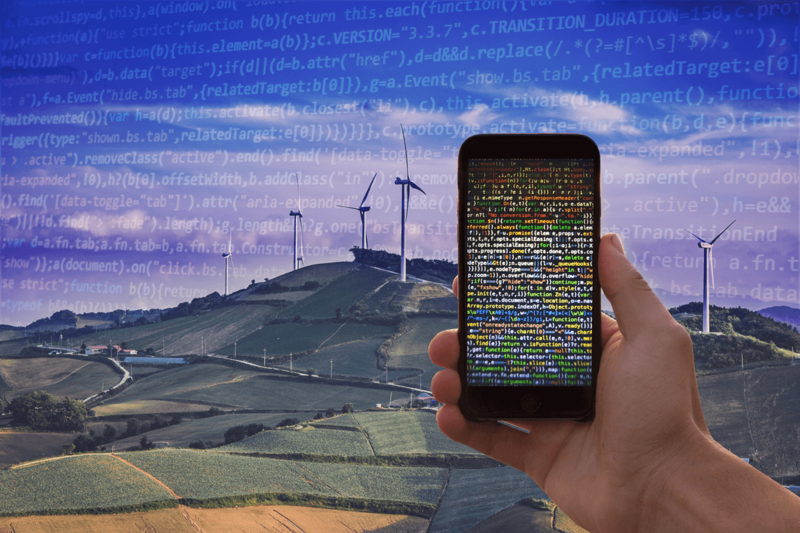 With the assistance of subject matter experts and leveraging academia’s expertise in research, Screaming Power has created machine-learning algorithms to baseline and forecast energy usage/loss and greenhouse gas emissions, forecast energy market clearing pricing, trends and load shifting, while managing the diverse sets of information that comes from within the energy Utility itself. Screaming Power integrates information with other data siloed within the company, energy Utility and on the Internet. Machine-learning algorithms and big data techniques are promising tools that work together to learn from users’ habits and building energy usage/loss behavior to optimize energy efficiency and reduce GHG emissions. The machine-learning algorithms forecast accurate energy consumption and loss, and they can be used by managers, utilities, and individuals to implement energy-saving policies.